In April, 2015, Eco-Justice Collaborative led a delegation to southern Illinois to experience the beauty and magnificence of this part of the state and learn how coal mining affects communities, including the air they breathe, the water they drink and the land they have depended upon for generations. We partnered with Shawnee Hills and Hollers and the Shawnee Vinyard Indian Settlement to provide a guided tour of southern Illinois’ coalfields, that included a stop at Galatia Mine, the largest underground mine in Illinois. This mine is owned and operated by Bob Murray, CEO of Murray Energy Corporation, one of the largest independent coal companies in the U.S.
Who is Bob Murray of Murray Energy? Recently, Murray’s profile in Illinois coal dramatically has increased as Murray Energy agreed to a $1.4 billion dollar investment in St. Louis-based Foresight Energy. The combined reserves of the new company would exceed nine billion tons. By comparison, Peabody Energy, considered by many to be the number one coal company in the U.S. (and the world), recently reported 7.6 billion tons of coal reserves. What do we know about Bob Murray, who soon will own more coal reserves in Illinois than anyone else? Murray and his companies received national attention in August 2007 when six miners were trapped at the Crandall Canyon Mine in Utah, of which Murray Energy independent operating subsidiary Utah American Energy had been a part-owner for 12 months. The collapse at Crandall Canyon was so powerful it registered as a 3.9-magnitude earthquake. It instantly entombed the miners nearly a half-mile underground. Their bodies have never been recovered. Another cave-in 10 days later killed two rescuers and a federal inspector during a frantic effort to tunnel their way to the trapped miners. Prior to the collapse, the Crandall Canyon Mine had been cited for numerous safety violations including lacking the required number of escape routes. Murray said that the safety violations were trivial and included violations such as not having enough toilet paper in the restroom. However, some news agencies reported troubling violations at other of Murray’s operations. CNN specifically cited Murray’s Illinois Galatia mine, which had almost 3,500 safety citations in the prior two and a half years. Bob Murray has been an outspoken critic of the science on climate change, and vehemently opposes what he believes to be the Obama administrations “war on coal”, threatening to sue the U.S. EPA in 2014 over “lying” about climate change. In a 2007 speech to the New York Coal Trade Association, Murray called Al Gore “the shaman of global gloom and doom” and added “he is more dangerous than his global warming”. Galatia mine, located approximately 10 miles northwest of Harrisburg, Illinois on US Route 34 is the largest underground coal mine in Illinois. Although the Energy Information Administration and the U.S. 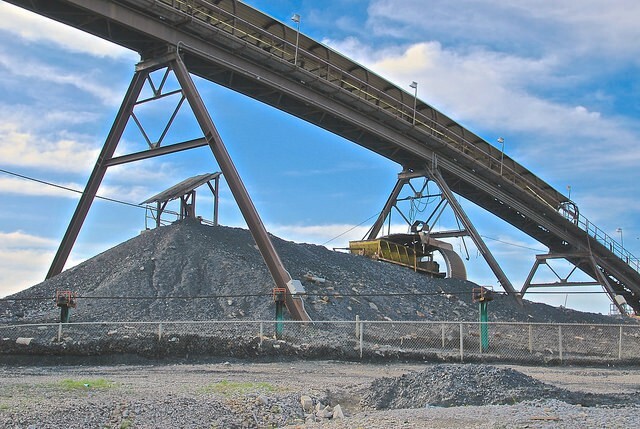 Mine Safety and Health Administration consider Galatia Mine to be just one mine, it operates out of two portals, which are listed on the company website as separate mines. The New Future Mine produces mid-sulfur bituminous coal. The New Era Mine operates produces high-sulfur bituminous coal. Both are operated by the American Coal Company, a subsidiary of Murray Energy. The Galatia complex also includes a third portal, the Galatia North Portal, which is inactive. In recent years Galatia mine has incurred thousands of citations for violations at the mine and has been assessed millions of dollars in fines. Interested in joining a delegation? Contact EJC and we’ll set up a delegation in Illinois that suits your group’s time frame and interest. The Same Old “New” Ideas?